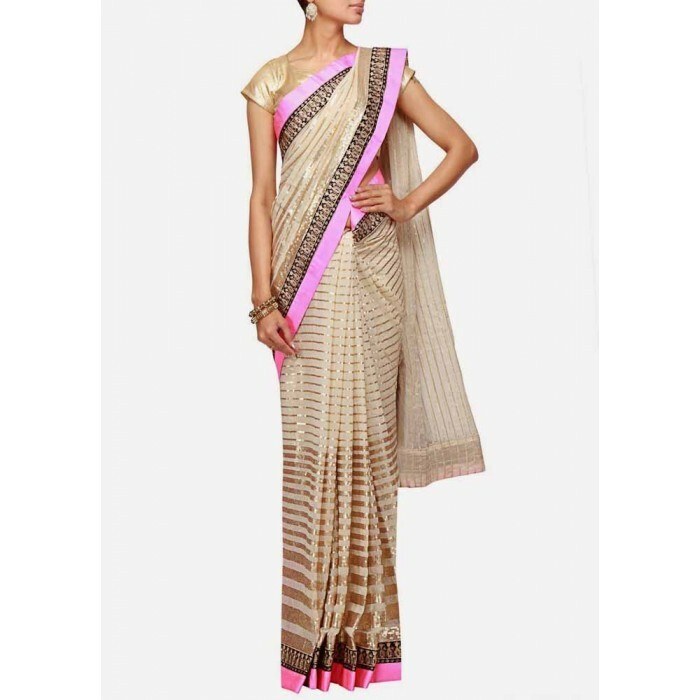 Beautiful Off White Colour Net + Dhupian Saree And matching Blouse from the house of stormdealz.com that will certainly add grace to your look. Featuring an attractive pattern, perfect for any occasion. This Saree is lightweight and easy to drape and thus worth including in your Ethnic wear collection. Beautiful Off White Colour Net + Dhupian Saree And matching Blouse from the house of stormdealz.com ..
Mesmerising, Seductive & Elegant Saree Collection from the house of Stormdealz.com that will cer..